Connecting SR 3 to the Belfair Bypass/SR3 Freight Corridor: It has long been envisioned that one or two local routes will connect Belfair to the future corridor midway between the two endpoints. We have looked at the feasibility of various routes, taking into consideration the challenging terrain and connectivity benefits. Increasing local network connectivity: Previous studies identified a number of potential street connections that would give area residents more route choices and reduce traffic at congested pinch points. This plan has evaluated potential connections to identify viable routes that are realistic given environmental constraints, cost, and likely benefits. Improving walkability: As Belfair grows, the ability to walk safely and comfortably around town will be an indicator of its desirability as a place to live and work. Great effort has already been made in establishing a network of trails. This plan works to leverage those efforts, expanding the trail network and linking it to a growing network of sidewalks and pathways throughout Belfair. Addressing operational efficiency of key intersections: Area residents know that at certain times of the day certain intersections are best avoided. Some of that congestion can be dealt with by improving the way those intersections are controlled. This plan considered strategies for making traffic flow smoother, keeping in mind that tourism is a big component of Belfair’s traffic in the summer and on weekends. Ensuring visibility of the downtown business district after the SR3 Freight Corridor is built: The Belfair Bypass/SR3 Freight Corridor will draw some traffic out of Belfair; that is the point of it. This brings with it some risks as well as opportunities. The Belfair Mobility Plan looks at transportation features like way-finding signage, streetscapes, and gateway treatments that enhance the economic resilience of small downtowns. Mason County is updating the transportation element of the Belfair Urban Growth Area Plan as recommended in the 2016 Mason County Transportation Plan. This update revisits underlying assumptions and recommendations from previous plans, taking into consideration recent investments in SR 3 and the pending Belfair Bypass/SR3 Freight Corridor that will get underway in 2019. This Belfair Mobility Plan website is an information portal for the Belfair community. It provides easy access to previous plans and studies, links to media and other project resources, current status and information on the transportation planning process, and contact information so that you can share your questions, ideas, and concerns directly with the project team at your convenience. 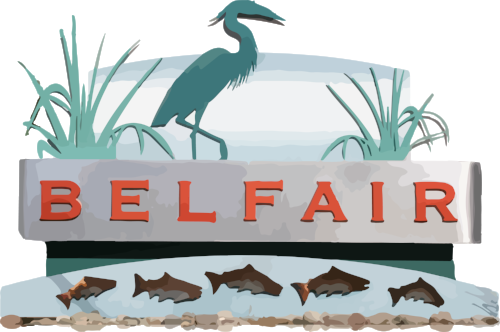 No one knows Belfair’s transportation issues and opportunities better than the people who live and work here, and travel through Belfair on a regular basis. We want to hear from you. Thank you for taking the time to learn about the Belfair Mobility Plan and sharing your thoughts. Copyright © 2018 Belfair Mobility Plan. All rights reserved.